Listed below are the best places online to find both new aftermarket and used OEM parts for all model year Jeep Wagoneer and Grand Wagoneer vehicles. We have sorted this list by level of relevance to the Wagoneer, as some resources may carry less parts specifically for the SJ platform. 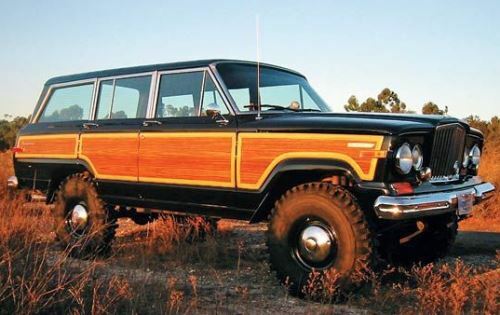 Labeled as the World’s Largest Supplier of Grand Wagoneer Parts & Accessories, Team Grand Wagoneer is an online store that features parts specifically for SJ Wagoneers. This includes everything from wood-grain molding trim to timing chains. BJ’s Off-Road is a full-size Jeep Parts & Accessories store. This includes the Wagoneer, Grand Wagoneer, Cherokee and J-Series/Gladiator Pickups. This spans models from 1963 to 1991. Morris 4X4 Center @ jeep4x4center.com is a Jeep Parts and accessories resource. This includes practically every Jeep model including the Wagoneer. Also covered on this site are other popular 4X4 vehicles such as the Suzuki Samurai and Sidekick as well as other light duty SUVs. 4WD.com features a selection of Grand Wagoneer parts spanning model years 1984 to 1991. Besides this 4WD primary focuses on Wrangler parts and accessories. Listed below are a few other obvious online places to find Jeep Wagoneer parts for sale.